Home » Monitoring Software » How to hack someones Whatsapp without their phone? How to hack someones Whatsapp without their phone? Today I am going to tell you about how to hack someones whatsapp without their phone? There are a number of social media sites being popular among the youngsters by which they can easily chat with their loved ones or also can share the photos/videos, songs, and much more. These social media sites have become so popular among people so that they become habitual of using these sites. WhatsApp is one of these social media apps which are most versatile and it is a kind of messenger app available in the Google Play and App Store. The Whatsapp has been growing rapidly and gets a good reputation even than the Twitter as well. It has around 400 million images and over 20 billion messages are being exchanged daily having around 200 million active users monthly. The messages sending on WhatsApp is approximately doubled the messages carried by the Facebook. Using Softwaremee spy app you you will easily aware about how to hack someones whatsapp without their phone But it has another phase as well as similar to the coin having two sides. It has resulted in various cases related to divorce, eve-teasing, and much more. The teenagers are being entered into a wrong track and start sending the vulgar kinds of messages which are not good according to their age. Many parents usually get tensed for their children as the youth has a different thinking and some crashes might also be possible for the parents & the children and they are unable to explain its consequences to their children. They can easily track the WhatsApp activities of their children without using or targeting their cell phone. They can take the help of various Spy Software Apps for the same. You can track their WhatsApp activities even without letting them know by using only the Spy Software Apps available in the market. Using this software you can easily know about how to hack someones whatsapp without their phone. Now you can easily hack anyone’s WhatsApp account whether it is about your children, your employees, or your spouse as well. It has become an easy task for everyone to track/hack any WhatsApp account without using their Cell Phone by just using the Spy Software Apps available through the Action India Home Products. 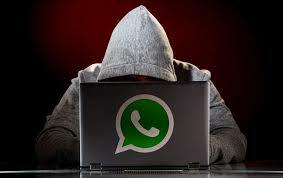 By this hacking of the WhatsApp account using the Spy Software Apps, you can easily know how to hack someones whatsapp without their phones and thus save or protect your children from getting exposed and also can secure yourself from being cheated by your spouse. The Spy Software Apps work just like the escaping software for you all as it contains an undetectable element which does not allow the user of the cell phone about the installation of this software. You can get all the information by simply login to your user account or can get via your registered mobile number. You don’t even have to worry about the fear of getting caught by hacking anyone’s WhatsApp account. The use of this Spy Software app is totally safe and being provided to you at the most reasonable prices along with a feature that allows you to hack anyone’s WhatsApp account without using their Cell Phone.